Happy Friday, blog fans! 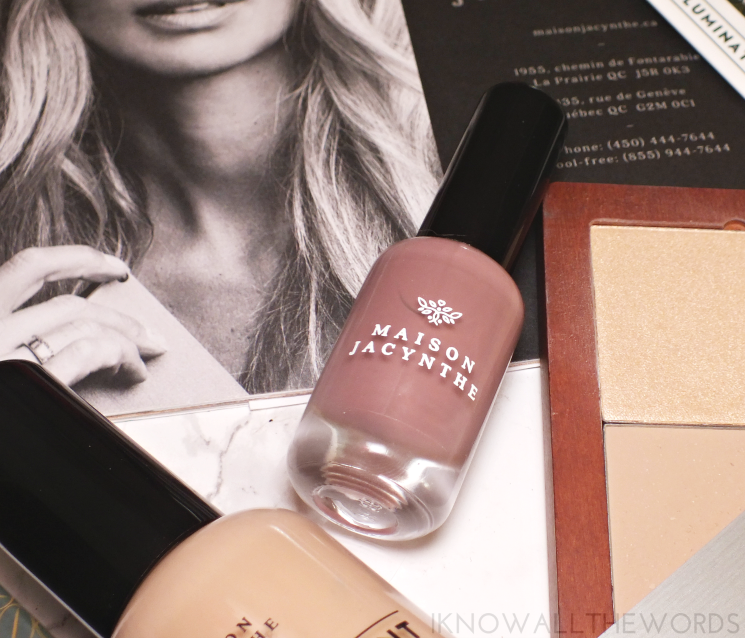 To wrap up the blog week, we're going to be chatting about a few new additions to the Maison Jacynthe range. I featured a few products (here) not all that long ago, and was more than pleased to select a few new products to feature. The new additions to the range include fluid foundation, highlighter, and nail polish giving the brand a bit of everything you could want. Plus, like all products from the brand, happen to be natural and organic, free of undesirable things like chemicals, petroleum by-products, preservatives and synthetic fragrance. My last Masion Jacynthe post included their Powder Compact, which has a bit of coverage and tint, but isn't a true foundation. At the time the range didn't include a true foundation, but they do now... The Fluid Foundation is housed in a heavy glass bottle, with a pump (yay!) for ease of use. The light, fluid texture is formulated with borage oil and coffee extracts (a specialty of the brand) to keep skin hydrated and protected, and a soft argan scent. The range only offers five shades, all of which are on the paler/lighter side. I was nervous when it came to choosing the wrong shade, but found 03 Cream to be a pretty amazing match for my skin. The fluid texture of the foundation bends seamlessly on skin with a natural, light-medium coverage (which builds easily, if needed) that wears comfortably on my drier skin. I haven't been setting it with powder, and find it lasts the day without breaking down or disappearing. 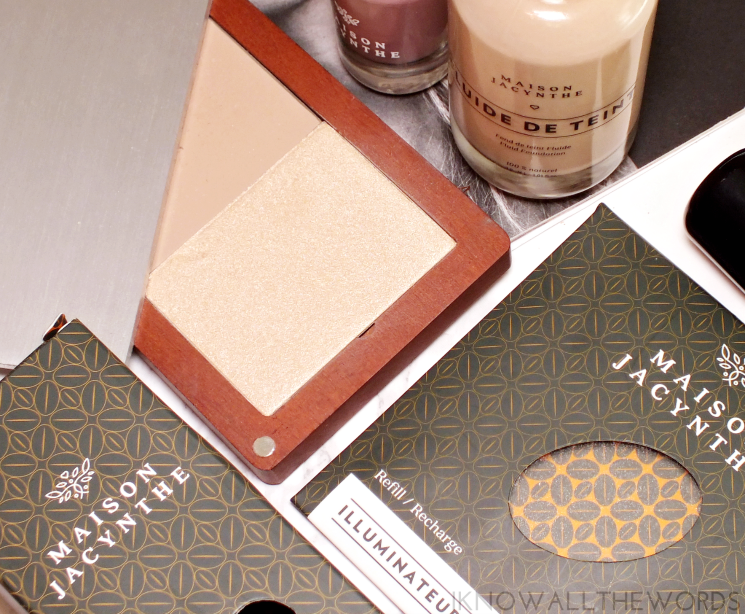 Who doesn't love a new highlighter? 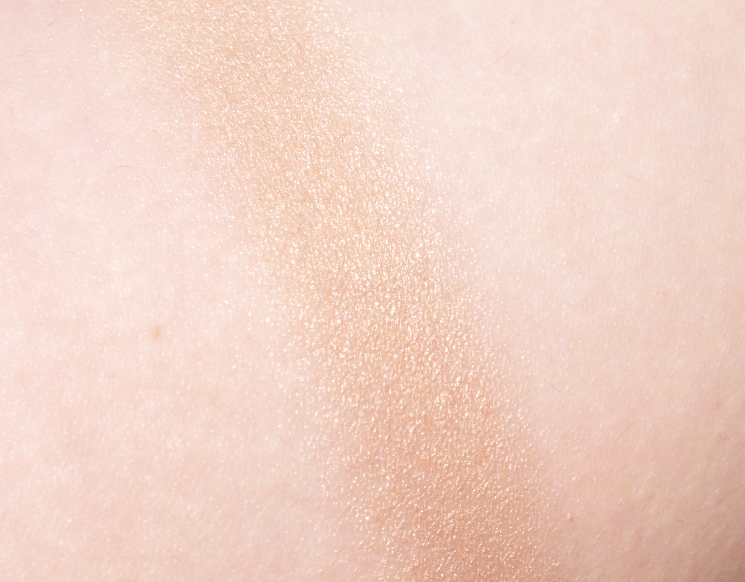 The simply named Highlighter is offered in two shades 01 Sparkling Sun (soft gold) and 02 Pink Moon (golden pink). I've been using the MUFE pink highlight (this one) almost exclusively for months, so I opted to switch things up with Sparkling Sun. If you have a lighter skin tone and tend to shy away from gold highlights, this is the gold for you. It has a soft, almost white gold look and gives an ethereal glow on skin that can be worn more subtly or more full on for optimal glow. The naturally based formulation includes coffee extract, corn, macadamia oil and apricot, which work to hydrate skin and offer a longer-lasting hold on skin. The pan comes on its own, so you'll need a palette to house it in, but Maison Jacynthe does have cute little cherrywood compacts available in a few sizes. The large option ($29) holds two of their larger pans, like a powder and highlighter as shown. Overall, some really great products! 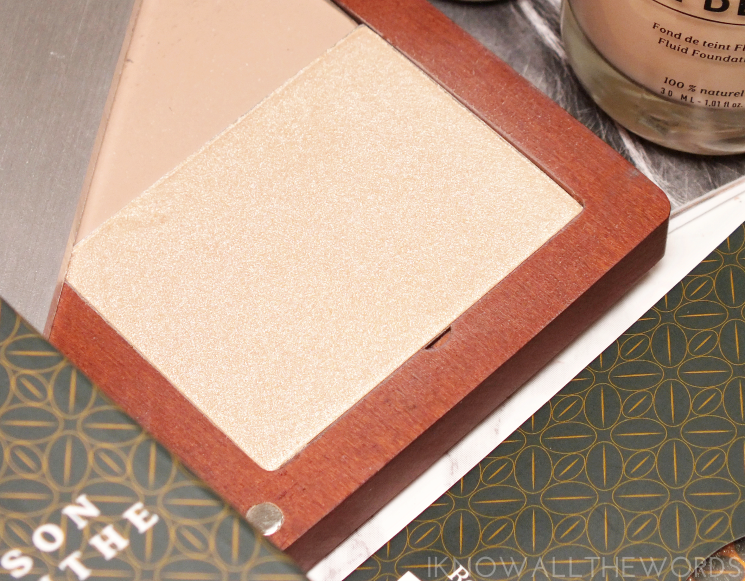 I have really been loving all of these products- the foundation and highlighter are currently everyday items- made even better since they're safer-for-you formulations. What do you think? 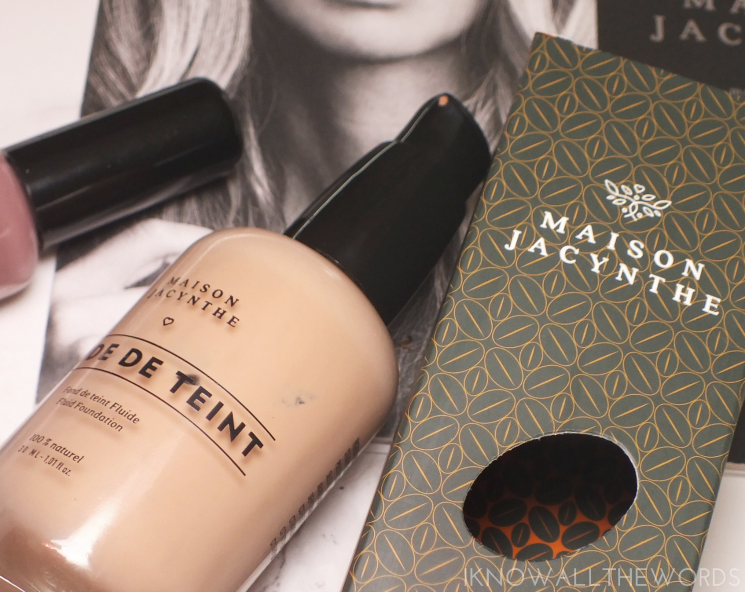 Have you tried anything from Maison Jacynthe? Do you search out more natural beauty items?